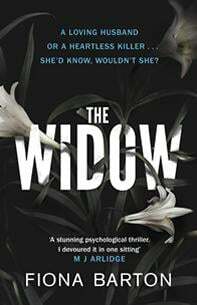 Fiona Barton's debut novel and much talked-about The Widow deals with a missing child case in suburban England and the toll it takes on the people most closely affected by the crime. The central character is the recently widowed Jean Taylor, whose husband Glen was the suspect for the alleged abduction and murder of a two-year-old girl. Though he had been tried and acquitted, the public, egged on by the media, refuse to let go of Glen as the "monster" who committed a heinous offence. But was he really guilty or just a victim of his circumstances? How much did Jean know about her husband? Is she in denial or was she complicit in his act? And is the whole thing a created misunderstanding by someone who had personal spite against Glen? These questions eddy and whirl in our minds as we read the book. There is an alternation between various points of view – that of Jean Taylor, Detective Inspector Bob Sparkes, reporter Kate Waters, little Bella's mother Dawn and even Glen – to unfold the story. A multifaceted perception of the incidents and events lends insight and depth to the occurrences. Notably, it is only Jean's voice that is in the first person, conversational and confessional, which clearly points out that it is with her that Barton intends the reader to have a personal connect. The wife and later widow cuts out a lonely figure, struggling with her disappointment at never being able to be a mother, Glen's compulsive lies and the glaring public scrutiny on her personal life, which makes us feel sympathetic towards her. Nevertheless, she lacks the resourcefulness and charm of other central characters in some of the best recent thrillers, and thus fails to be impressive. The time period of the novel keeps shifting back and forth from the year 2006 when the child was reported to be missing to 2010 when Glen loses his life in an accident. As the case is unsolved, the police and media continue to take turns to dig out the truth, albeit in the most harrowing ways. The journalistic scenes where the press try to make most out of the scandal and gossip to perk up their sales and TRPs ring true. Barton, being a former reporter and news editor, has extensive experience in the field and is able to bring authenticity to the subject. However, the book fails to live up to the hype surrounding it. The storyline starts off well with Jean remarking on her gladness at her husband's demise as she would have "no more of his nonsense" but it soon begins to drag. The secrets that spill do not spring at us as they are supposed to in thrillers. As the evidence falls into place with the progress of the narrative, it becomes increasingly and dishearteningly predictable. The dedication of the police makes the unravelling appear to be systematically earned. There is no surprising twist that turns the story inside out or comes as a jolt to the reader as in Gillian Flynn's Gone Girl. The plot machinations fail to both keep up the suspense and drive the adrenaline rush. In spite of the writer's strategy of withholding vital information and using unreliable narrators, the whole affair turns out to be undeniably boring after a point. Overall, the novel has nothing particularly new to offer. It is neither a breathtaking study of human psychology nor the dissection of an unfamiliar marriage. Also, the ending is on a tepid note and not with a bang that can transfix the reader. Hence, The Widow is a disappointment to high expectations and the genre of the thriller.